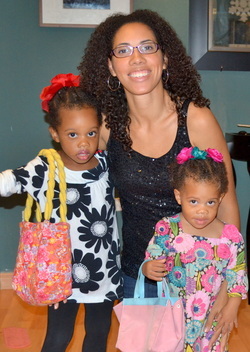 My name is Anghara, and I am a mother to two beautiful curly haired little Divas. Knowing the benefits of satin, I looked high and low for satin pillowcases that were fun and that my girls would love. There were none. If I wanted pretty satin pillowcases for my girls, I would have to make them. I am not a fashion designer, or a seamstress for that matter, but I realized that if my girls would enjoy sleeping on fun funky designs then others would as well. The goal of Sleeping Little Divas is provide girls with curly hair a beautiful inspirational bedding accessory that they will treasure for years.